Google is making a major change to its cloud platform infrastructure that will help shore up one of the company's biggest weaknesses relative to competitors like Microsoft and Amazon. On Thursday, Urs Hölzle, the company's senior vice president of technical infrastructure, unveiled eight forthcoming regions around the world for the company's cloud services. The regions are all slated to launch in 2017 and will be comprised of multiple data centers for companies looking to run high-availability applications. Having a broad distribution of cloud infrastructure is important to Google's competitive chances. More and more countries are requiring that some types of data are stored in particular geographic locations. And even with high-speed networks, a large distance between where an application is hosted and where its users are located will lead to a slowdown. One of Google's biggest weak points in competition with Microsoft and Amazon has been its relative paucity of regions compared to those other platforms. Prior to Thursday, Google had announced six regions, while Amazon has 17 regions announced, and Microsoft has 34. This isn't a perfect comparison, because of the varying ways the companies count regions. 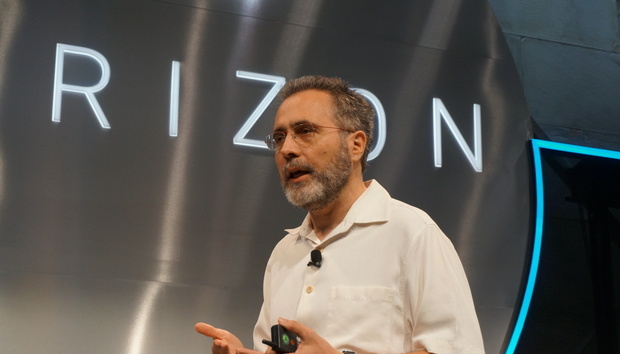 This announcement brings Google's announced region number up to 14, and Hölzle said the company plans to launch roughly one new region a month in 2017. If Google keeps to that plan, the company could have up to 18 regions by the end of that year. This graphic shows all of Google's announced cloud platform regions as of September 29, 2016. The new regions announced Thursday will be available in Mumbai, India; Singapore; Sydney, Australia; northern Virginia; São Paulo, Brazil; London, England; Finland; and Frankfurt, Germany. They join Google's existing regions in Oregon, Iowa, South Carolina, Belgium, and Taiwan, along with a Japan region that's scheduled to come online this year. Google plans to have all of its services available in those regions when they launch, though the company hasn't laid out an exact schedule for when the services will be live. The announcement is part of Google's ongoing push to get companies to use its cloud platform. The company also announced Thursday that it's rebranding its enterprise-focused division to Google Cloud, dropping the Google for Work moniker it's been using for a couple of years. None of Google's major competitors are standing still, however. Amazon is hosting its major Re:Invent conference at the end of November, and it's reasonable to expect that the company will have news to share there.